Read more about the way we do the things we do in our Smartfleet brochure. Smartfleet is a leading provider of fleet management and related services to Australian businesses of all shapes and sizes. We take the time to listen to your unique business requirements, and then create a customised solution for you that will keep your drivers safe and save you money. In managing over 50,000 vehicles nationwide for over 160 organisations including government, corporate, universities, health and not for profit organisations, we have a proven track record in improving productivity and reducing cost. Combining advanced technology with personal service, we provide cost-saving solutions for your business – for now, and in the future. I like that the team at Smartfleet always listen to what we need and are always striving to improve systems and processes. We have had a long association with Smartfleet and appreciate that our needs are met and our feedback/suggestions for improvement valued. 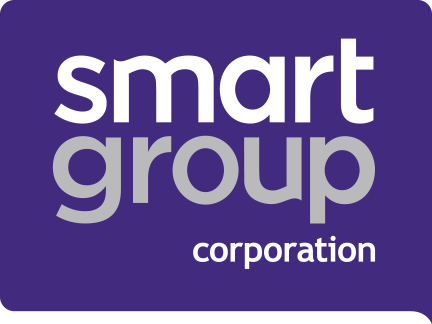 Smartfleet is the fleet management provider in the Smartgroup network of companies, an ASX-listed corporation recognised for innovation and exceptional customer service. Our employee remuneration and benefits services provide efficient and easy-to-access solutions in payroll administration, salary packaging, novated leasing, share plan administration. Smartgroup also helps organisations become more efficient through innovative fleet management services and workforce-modelling software.